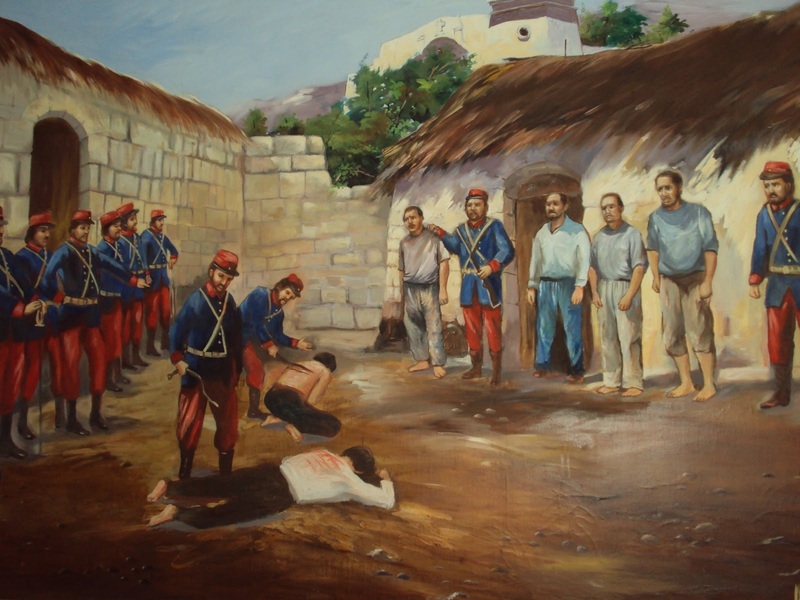 This date in 1883 saw the deaths of six Peruvian patriotic martyrs. These executions blackened the War of the Pacific, a conflict between Chile and an alliance of Bolivia plus Peru which we have previously featured on this site. Its stakes were a resource-rich borderlands but by this point in the war, Chile had already conquered all the way to Lima. Now it was a war of occupation, a war of resistance. The inland city of Arequipa — Peru’s capital up until this very juncture — had been captured by Chile in September 1883, setting up a chaotic situation. Come November 22, three Chilean soldiers engaging the occupier’s prerogative to brutalize the locals were set upon by civilians in Quequeña, just outside Arequipa. Two of the Chileans were kied in the fray. An immediate dragnet in Quequeña and neighboring Yarabamba hung dozens of severe convictions on various Peruvians, headlined by a staggering 26 condemned to execution for participating in the brawl. Our six — by names, Liborio Linares, Manuel Linares, Angel Figuerioa, Juan de Dios Costa, Jose Mariano, and Luciano Ruiz — were the “only” ones ultimately put to death; they remain national heroes in Peru to this day.